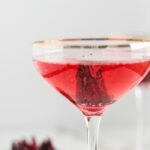 Hibiscus Mimosas are so pretty and easy to make for all of your spring and summer celebrations! Alright, so this recipe isn’t really a recipe. It’s just two ingredients and you don’t even measure anything. I’m a little embarrassed by how easy it is. 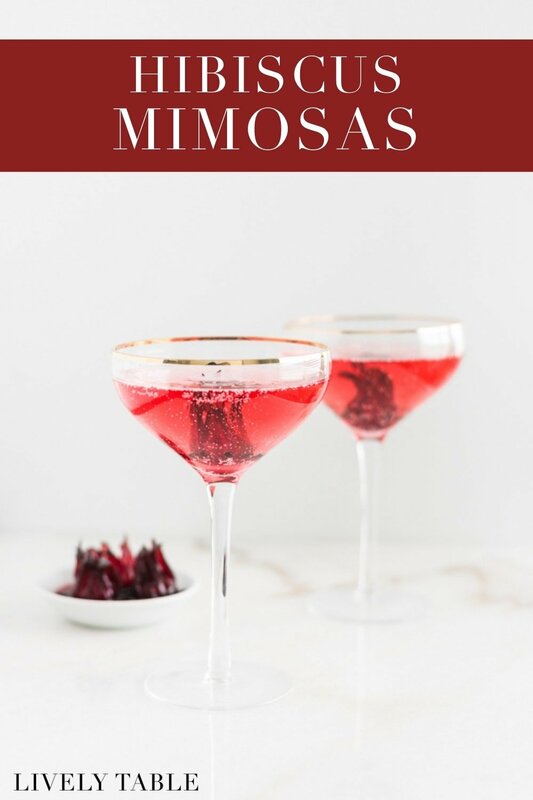 But that doesn’t mean these hibiscus mimosas are any less delicious! Their simplicity makes them perfect for entertaining, and they look much more complicated than they actually are! These cocktails are a beautiful addition to all of your celebrations this spring and summer, from showers to graduations and more! My grandmother introduced me to these hibiscus mimosas a few years ago. Some friends in Australia shared them with her on one of her trips there, just like this Avocado Mango Salad. They’re perfect for celebratory brunches and lunches! 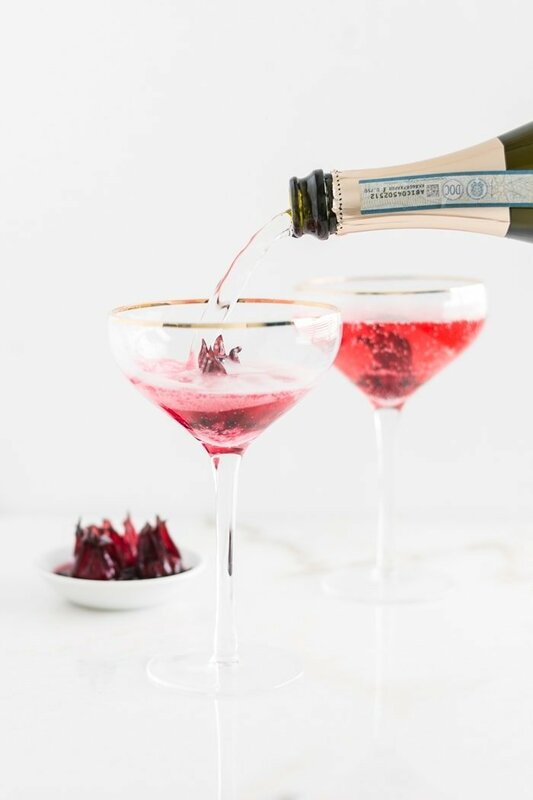 All you do is drop a hibiscus flower in the bottom of a champagne flute and fill it with your favorite sparkling wine. I like to use prosecco for a nice sweetness that isn’t overbearing. You can find jarred wild hibiscus flowers at some liquor stores like Spec’s or on Amazon. Pour in a bit of the syrup from the jar if you want a little more sweet flavor, and you’re done! Not that you need a recipe, but here’s one anyway. Cheers! 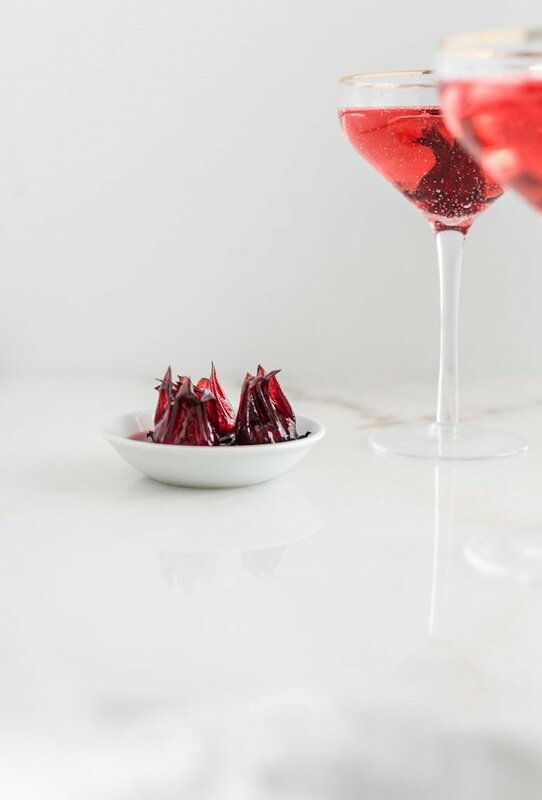 Place a hibiscus flower in the bottom of each champagne flute. Top with prosecco. 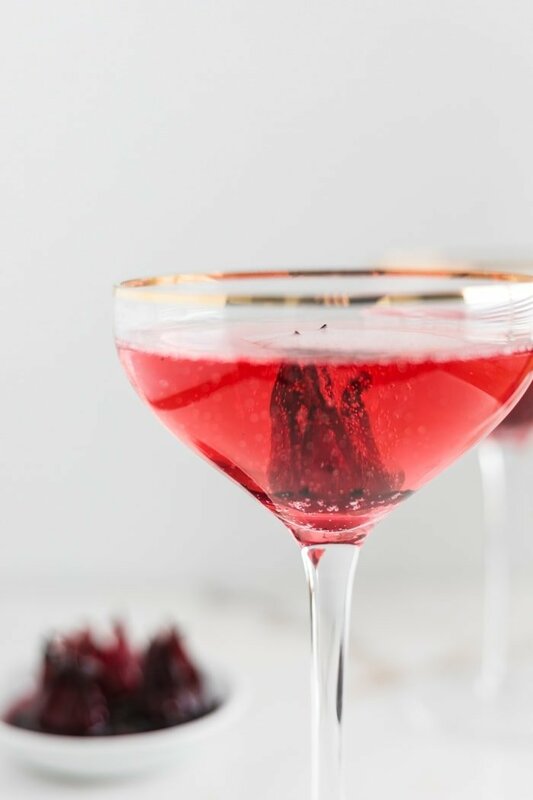 For added sweetness, add some syrup from the jar of hibiscus to your glass. Enjoy! how cool are those flowers!? i’ve never seen them before. thanks for the introduction to something new! Aren’t they so pretty in a drink? This is so beautiful, Kaleigh! And simple! Love it.